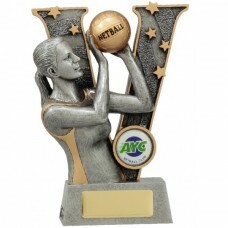 Browse our extensive range of Netball trophies and medals that are availiable in all styles and sizes. 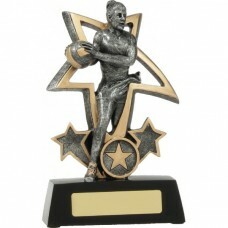 At Top-Notch Trophies & Promotions we can supply to you the right recognition range to suit your budget. 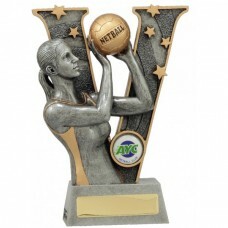 Below is a range of Netball Trophies and Medals are available through the Top-Notch online store, but should you require further options including an extensive range of timber trophies, extruded column trophies, glass, acrylic or crystal awards then follow the link to our supplier brochures page where you can view the full range that can be purchased in store. 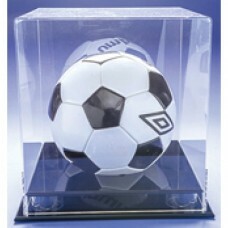 Item: Acrylic Ball DisplaySuitable For: Soccer, Basketball, Netball, volleyballSize: 280 x 280 x 280.. Item: Netball Ball HolderSize: 385mmMaterial: TimberColour: Dark RosewoodBA.. 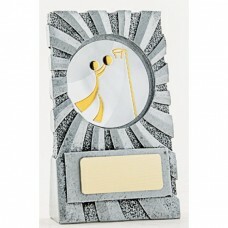 Item: Appreciation Resin TrophySize: 180mmMaterial: ResinColour: Antique GoldPRI.. 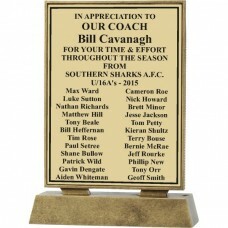 Item: Appreciation Resin TrophySize: 240mmMaterial: ResinColour: Antique GoldPRI.. Item: Aussie Rules Phoenix SeriesSize: 150mmMaterial: ResinColor: Antique Gold w.. 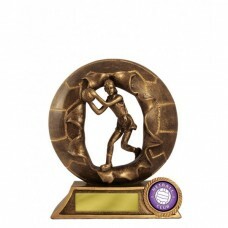 Item: Netball 3D Break-Thru SeriesSize: 120mmMaterial: ResinColour: Antique Gold.. 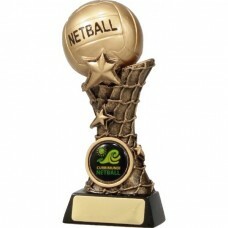 Item: Netball 3D Break-Thru SeriesSize: 150mmMaterial: ResinColour: Antique Gold.. 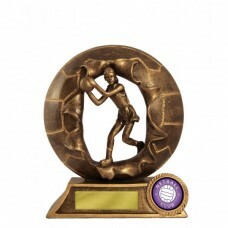 Item: Netball 3D Break-Thru SeriesSize: 175mmMaterial: ResinColour: Antique Gold.. 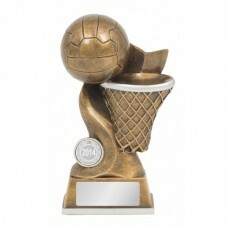 Item: Netball 3D Break-Thru SeriesSize: 200mmMaterial: ResinColour: Antique Gold.. 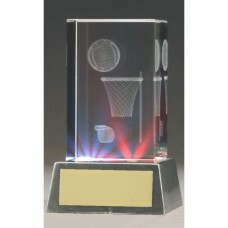 Item: Netball 3D Crystal with Light Up BaseSize: 110mmMaterial: CrystalColour: Transparent.. Item: Netball ActionSize: 160mmMaterial: ResinColour: Black with Gold Ball.. Item: Netball ActionSize: 195mmMaterial: ResinColour: Black with Gold Ball.. Item: Netball ActionSize: 225mmMaterial: ResinColour: Black with Gold Ball.. 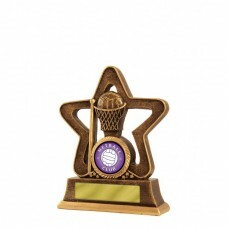 Item: Netball All Action HeroSize: 140mmMaterial: ResinColour: Antique Silver wi.. 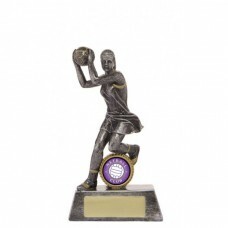 Item: Netball All Action HeroSize: 160mmMaterial: ResinColour: Antique Silver wi.. 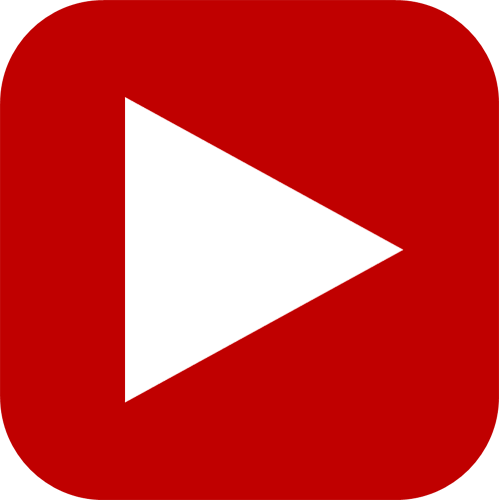 Item: Netball All Action HeroSize: 200mmMaterial: ResinColour: Antique Silver wi.. Item: Netball All Action HeroSize: 255mmMaterial: ResinColour: Antique Silver wi.. 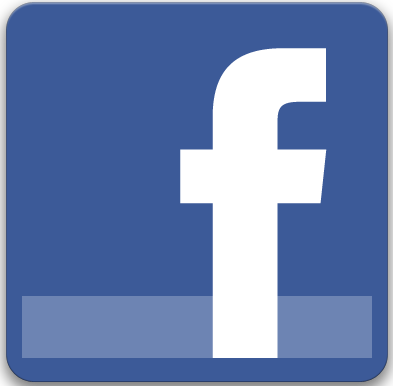 Item: Netball BallSize: 60mmMaterial: ResinColour: Antique GoldConsider Incorpor.. Item: Netball BallSize: 70mmMaterial: ResinColour: Antique GoldConsider Incorpor.. 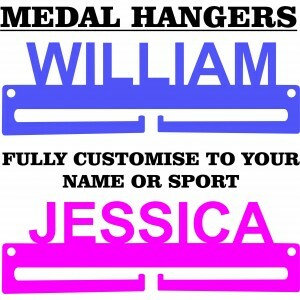 Item: Netball Banner SeriesSize: 135mmMaterial: ResinColour: Silver with Gold Hi.. 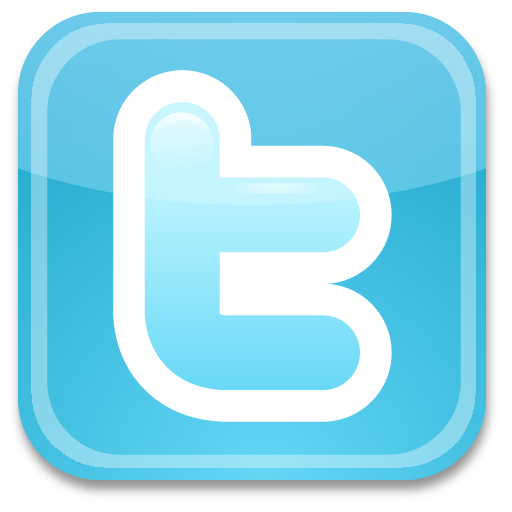 Item: Netball Banner SeriesSize: 175mmMaterial: ResinColour: Silver with Gold Hi.. Item: Netball Banner SeriesSize: 205mmMaterial: ResinColour: Silver with Gold Hi.. Item: Netball Bursting StarSize: 110mmMaterial: ResinColour: Antique Silver with.. Item: Netball Bursting StarSize: 130mmMaterial: ResinColour: Antique Silver with.. 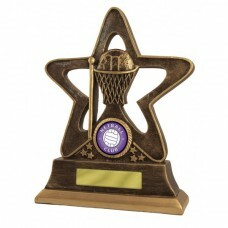 Item: Netball Bursting StarSize: 150mmMaterial: ResinColour: Antique Silver with Gold.. 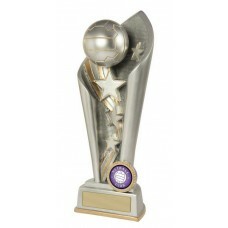 Item: Netball Curve Ball SeriesSize: 150mmMaterial: ResinColour: Silver with Gol.. 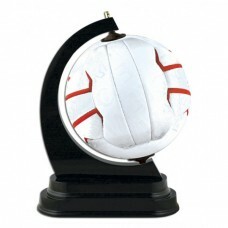 Item: Netball Curve Ball SeriesSize: 175mmMaterial: ResinColour: Silver with Gol.. 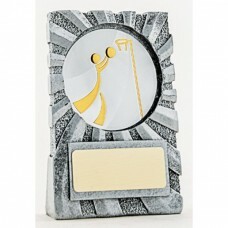 Item: Netball Curve Ball SeriesSize: 200mmMaterial: ResinColour: Silver with Gol.. 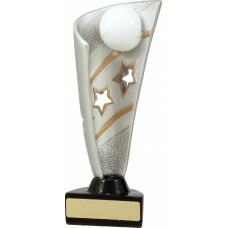 Item: Netball Curve Ball SeriesSize: 225mmMaterial: ResinColour: Silver with Gol.. 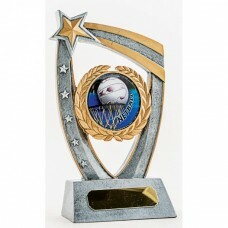 Item: Netball Curve Ball SeriesSize: 250mmMaterial: ResinColour: Silver with Gol.. 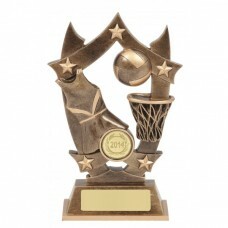 Item: Netball Dynamo SeriesSize: 125mmMaterial: ResinColor: Silver with Gold Hig.. 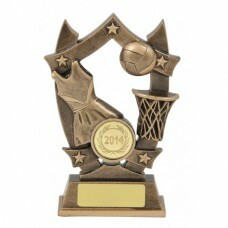 Item: Netball Dynamo SeriesSize: 135mmMaterial: ResinColor: Silver with Gold Hig.. 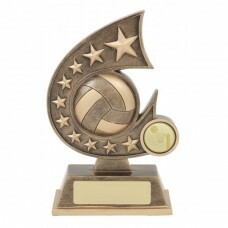 Item: Netball Dynamo SeriesSize: 150mmMaterial: ResinColor: Silver with Gold Hig.. 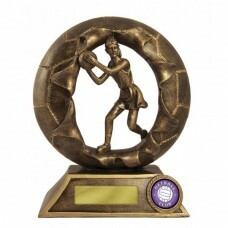 Item: Netball FameSize: 155mmMaterial: ResinColour: Antique Silve with Gold Ball.. 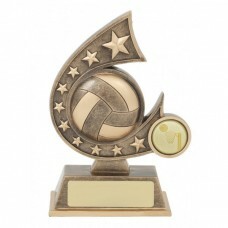 Item: Netball FameSize: 170mmMaterial: ResinColour: Antique Silve with Gold Ball.. 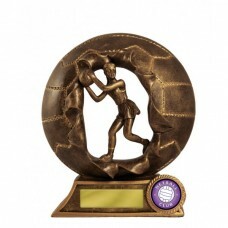 Item: Netball FameSize: 195mmMaterial: ResinColour: Antique Silve with Gold Ball.. 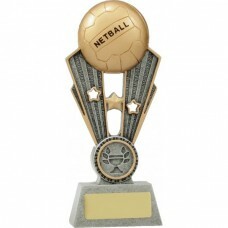 Item: Netball FameSize: 220mmMaterial: ResinColour: Antique Silve with Gold Ball.. 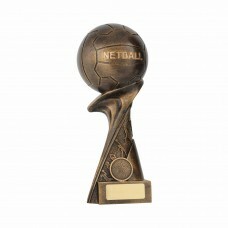 Item: Netball FameSize: 245mmMaterial: ResinColour: Antique Silve with Gold Ball.. Item: Netball Fanatics SeriesSize: 120mmMaterial: ResinColour: Antique gold with.. Item: Netball Fanatics SeriesSize: 140mmMaterial: ResinColour: Antique gold with.. Item: Netball Fanatics SeriesSize: 155mmMaterial: ResinColour: Antique gold with.. 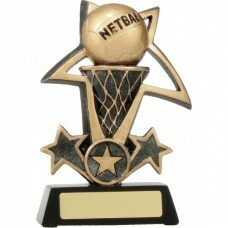 Item: Netball Resin TrophySize: 130mmMaterial: ResinColor: Antique Silver with G.. 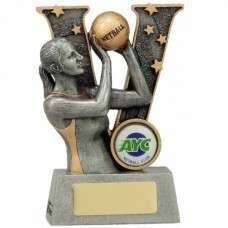 Item: Netball Resin TrophySize: 147mmMaterial: ResinColor: Antique Silver with G.. 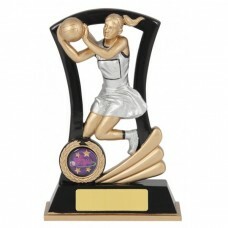 Item: Netball Resin TrophySize: 165mmMaterial: ResinColor: Antique Silver with G.. 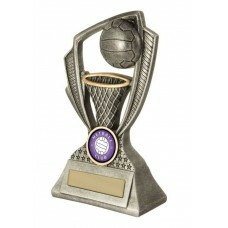 Item: Netball Resin TrophySize: 185mmMaterial: ResinColor: Antique Silver with G.. 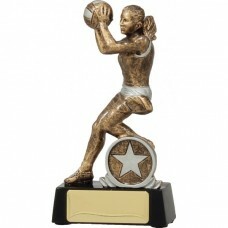 Item: Netball Girl Bursting StarSize: 150mmMaterial: ResinColour: Antique Silver.. 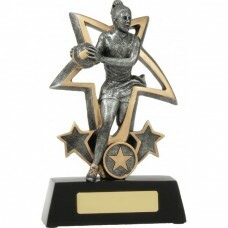 Item: Netball Girl Bursting StarSize: 170mmMaterial: ResinColour: Antique Silver.. Item: Netball Girl Bursting StarSize: 195mmMaterial: ResinColour: Antique Silver.. 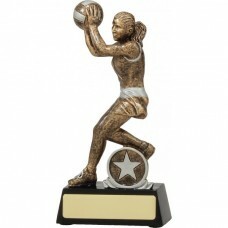 Item: Netball Girl V-SeriesSize: 130mmMaterial: ResinColour: Antique Silver with.. 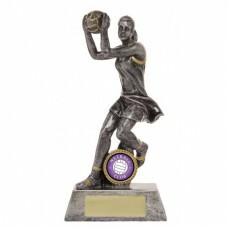 Item: Netball Girl V-SeriesSize: 155mmMaterial: ResinColour: Antique Silver with.. 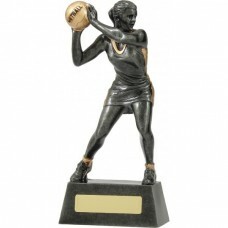 Item: Netball Girl V-SeriesSize: 185mmMaterial: ResinColour: Antique Silver with.. Item: Netball HeroSize: 160mmMaterial: ResinColour: Antique Gold.. Item: Netball HeroSize: 190mmMaterial: ResinColour: Antique Gold.. Item: Netball HeroSize: 230mmMaterial: ResinColour: Antique Gold.. Item: Netball Holy Star SeriesSize: 110mmMaterial: ResinColour: Antique GoldCons.. 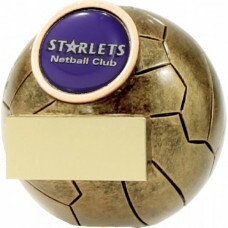 Item: Netball Holy Star SeriesSize: 120mmMaterial: ResinColour: Antique GoldCons.. Item: Netball Holy Star SeriesSize: 145mmMaterial: ResinColour: Antique GoldCons.. 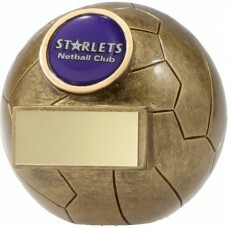 Item: Netball Holy Star SeriesSize: 175mmMaterial: ResinColour: Antique GoldCons.. Item: Netball Infinity SeriesSize: 175mmMaterial: ResinColour: Antique Gold with.. Item: Netball Infinity SeriesSize: 200mmMaterial: ResinColour: Antique Gold with.. Item: Netball Infinity SeriesSize: 225mmMaterial: ResinColour: Antique Gold with.. Item: Netball Little ChampSize: 125mmMaterial: ResinColour: Antique Gold with Go.. 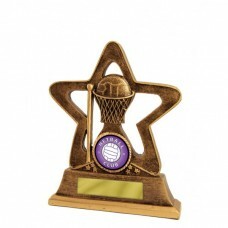 Item: Netball Little ChampSize: 125mmMaterial: ResinColour: Silver with Gold Hig.. 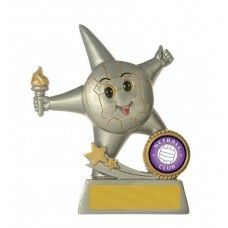 Item: Netball Little Star SeriesSize: 130mmMaterial: ResinColor: Silver with Gol.. Item: Netball Phoenix SeriesSize: 120mmMaterial: ResinColor: Antique Gold with G.. Item: Netball Phoenix SeriesSize: 135mmMaterial: ResinColor: Antique Gold w.. Item: Netball Phoenix SeriesSize: 150mmMaterial: ResinColor: Antique Gold with G.. 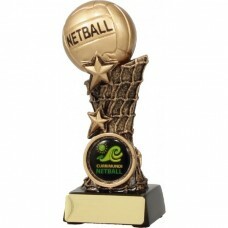 Item: Netball Pinnacle SeriesSize: 150mmMaterial: ResinColour: Antique Gold with.. 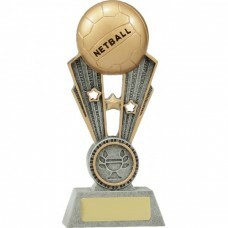 Item: Netball Pinnacle SeriesSize: 180mmMaterial: ResinColour: Antique Gold with.. Item: Netball Pinnacle SeriesSize: 200mmMaterial: ResinColour: Antique Gold with.. 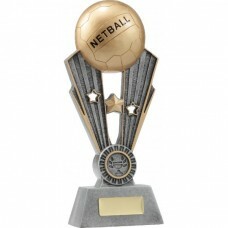 Item: Netball Pinnacle SeriesSize: 225mmMaterial: ResinColour: Antique Gold with.. 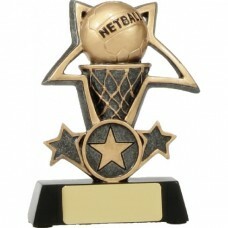 Item: Netball Pinnacle SeriesSize: 245mmMaterial: ResinColour: Antique Gold with.. Item: Netball PlayerSize: 135mmMaterial: ResinColour: Antique Gold on a Black Ba.. 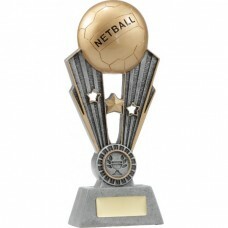 Item: Netball PlayerSize: 165mmMaterial: ResinColour: Antique Gold on a Black Ba.. Item: Netball Raised BallSize: 125mmMaterial: ResinColour: Antique GoldConsider .. Item: Netball Raised BallSize: 145mmMaterial: ResinColour: Antique GoldConsider .. Item: Netball Raised BallSize: 165mmMaterial: ResinColour: Antique GoldConsider .. Item: Netball Raised BallSize: 185mmMaterial: ResinColour: Antique GoldConsider .. 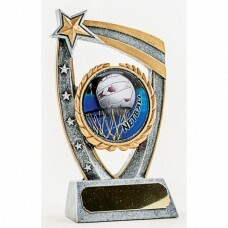 Item: Netball Raptor SeriesSize: 125mmMaterial: ResinColour: Silver with Gold Hi.. 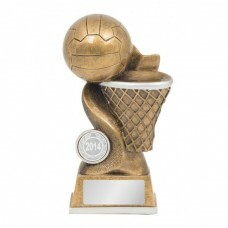 Item: Netball Raptor SeriesSize: 140mmMaterial: ResinColour: Antique Gold with G.. 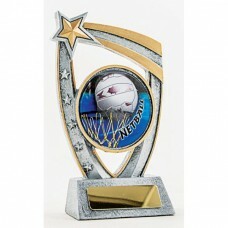 Item: Netball Raptor SeriesSize: 150mmMaterial: ResinColour: Silver with Gold Hi.. 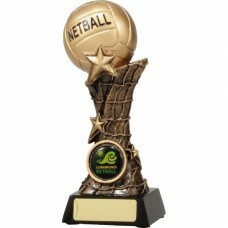 Item: Netball Raptor SeriesSize: 160mmMaterial: ResinColour: Antique Gold with G.. 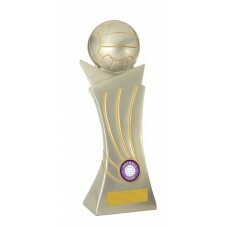 Item: Netball Raptor SeriesSize: 175mmMaterial: ResinColour: Silver with Gold Hi.. 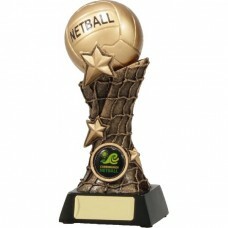 Item: Netball Raptor SeriesSize: 185mmMaterial: ResinColour: Antique Gold with G.. 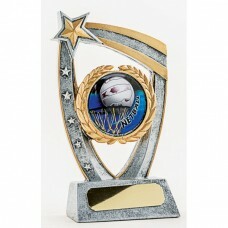 Item: Netball Raptor SeriesSize: 200mmMaterial: ResinColour: Silver with Gold Hi.. 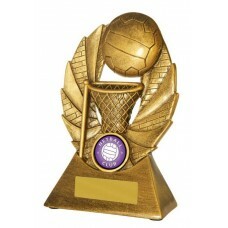 Item: Netball Raptor SeriesSize: 225mmMaterial: ResinColour: Silver with Gold Hi.. 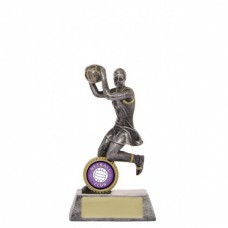 Item: Netball Rebound SeriesSize: 135mmMaterial: ResinColour: Antique Gold with .. 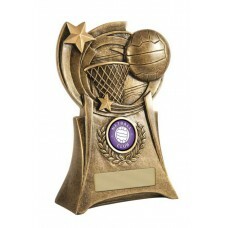 Item: Netball Rebound SeriesSize: 160mmMaterial: ResinColour: Antique Gold with .. 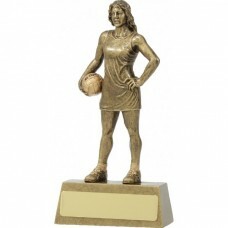 Item: Netball Rebound SeriesSize: 180mmMaterial: ResinColour: Antique Gold with .. 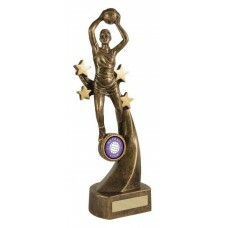 Item: Netball Rebound SeriesSize: 210mmMaterial: ResinColour: Antique Gold with .. 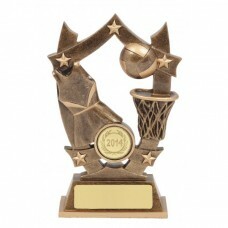 Item: Netball Rebound SeriesSize: 235mmMaterial: ResinColour: Antique Gold with .. Item: Netball Cup TrophySize: 130mmMaterial: ResinColor: Antique Silver with Gol.. 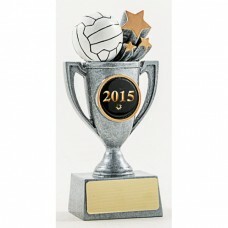 Item: Netball Cup TrophySize: 155mmMaterial: ResinColor: Antique Silver with Gol.. 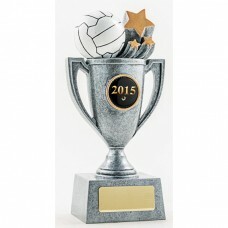 Item: Netball Cup TrophySize: 175mmMaterial: ResinColor: Antique Silver with Gol.. 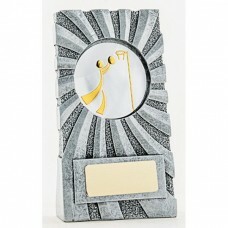 Item: Netball Resin PlaqueSize: 100mmMaterial: ResinColor: Washed Grey/SilverCon.. 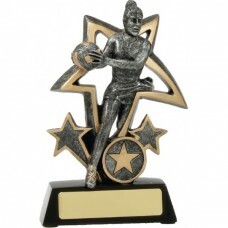 Item: Netball Resin PlaqueSize: 120mmMaterial: ResinColor: Washed Grey/Silver***.. 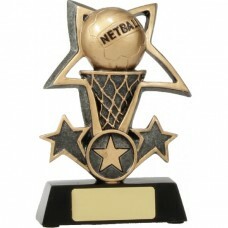 Item: Netball Resin PlaqueSize: 135mmMaterial: ResinColor: Washed Grey/Silver***.. 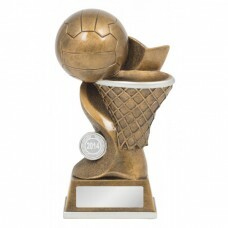 Item: Netball Resin TrophySize: 150mmMaterial: ResinColour: Antique Gold with Go.. 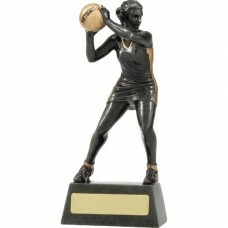 Item: Netball Resin TrophySize: 165mmMaterial: ResinColour: Girl inside a black .. Item: Netball Resin TrophySize: 165mmMaterial: ResinColour: Antique Gold with Go..